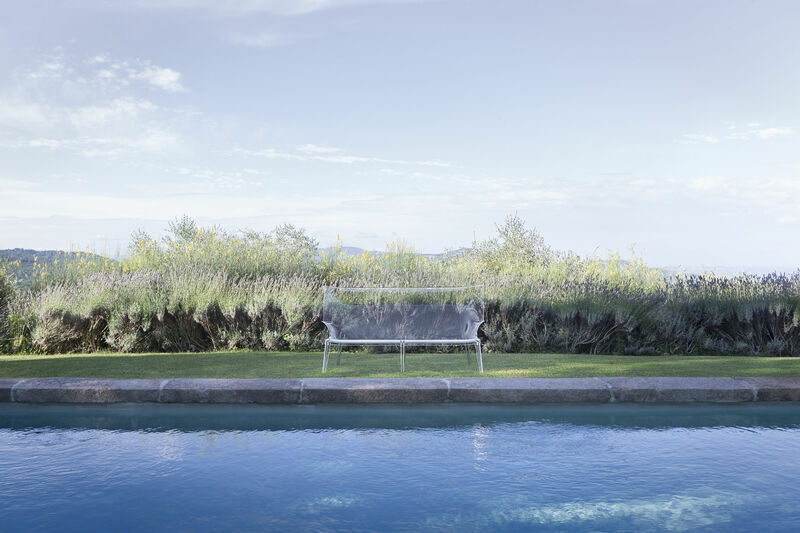 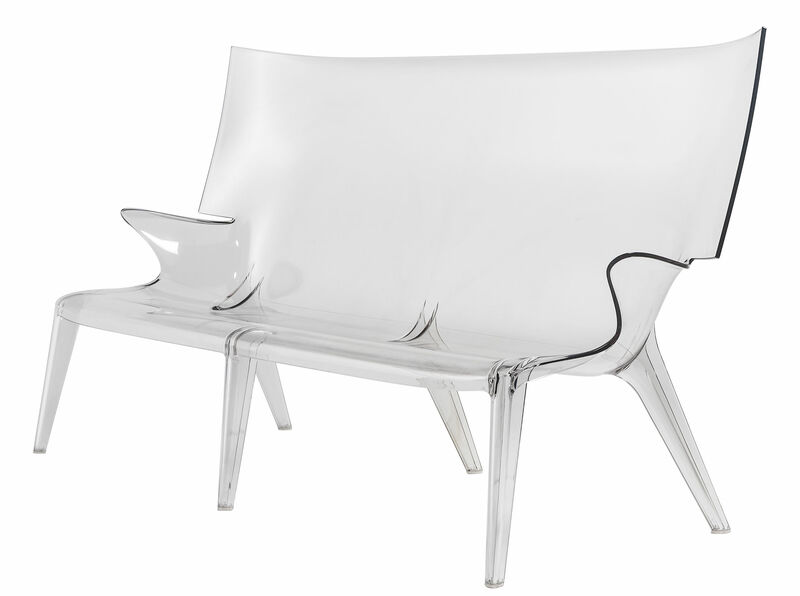 Philippe Starck's kartell collaboration continues with a true family of indoor and outdoor furniture pieces ‘aunts and uncles' comprised of five designs: the ‘uncle jack' sofa, ‘uncle jim' armchair, ‘uncle jo' chair, ‘aunt jamy' dining table' and ‘aunt maggy' console is being shown. 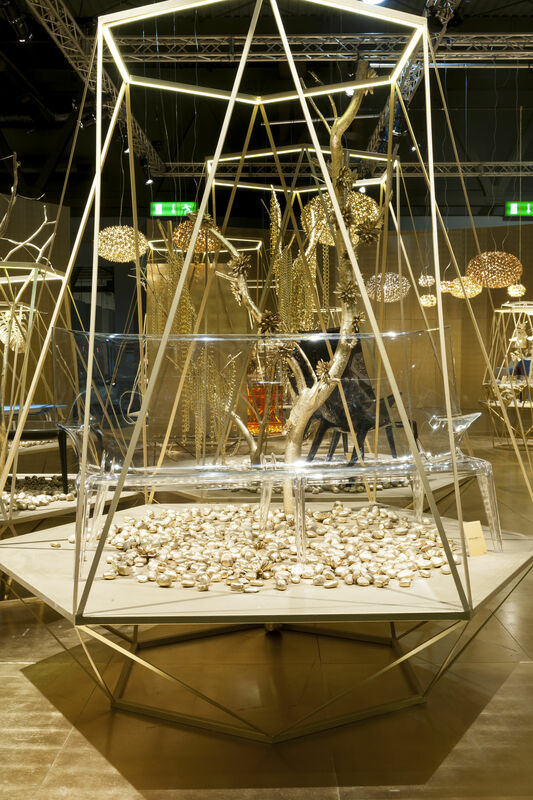 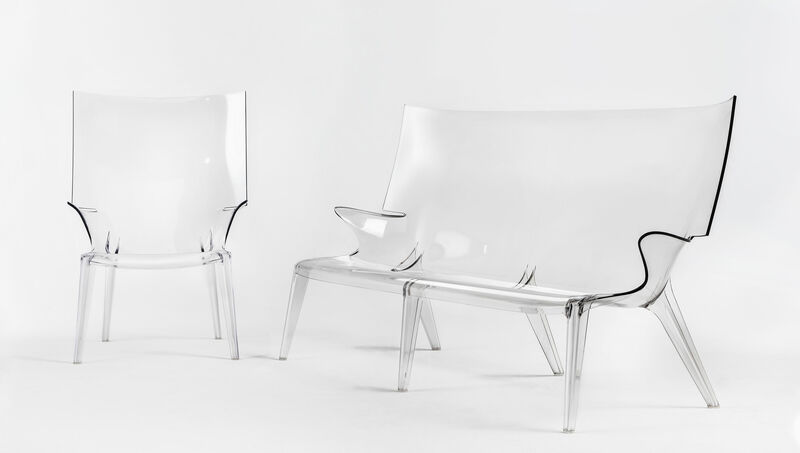 the stimulus which informed their shapes is derived from starck's memory of his aunts and uncles sitting in their armchairs and sofas either smoking their pipes, knitting or gathered around telling stories to the family-his resulting work seen as a minimalist technological interpretation of these. 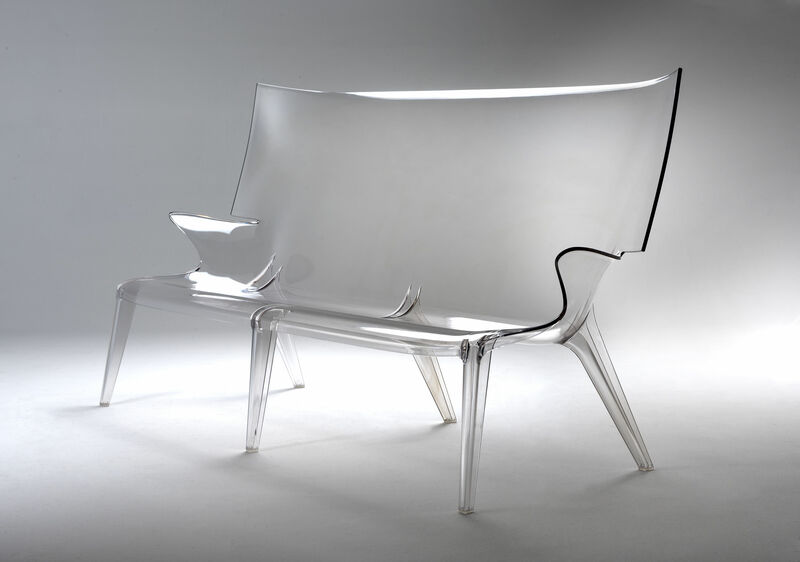 the entire collection of seating and tables are produced in transparent polycarbonate using injection molding technology-one of the key points to mention is the ability of having producing the ‘uncle jack' sofa using this method because of its size of almost 2 metres long, something which has not previously been possible.